Discussion in 'The Garage' started by Travis, Nov 17, 2010. 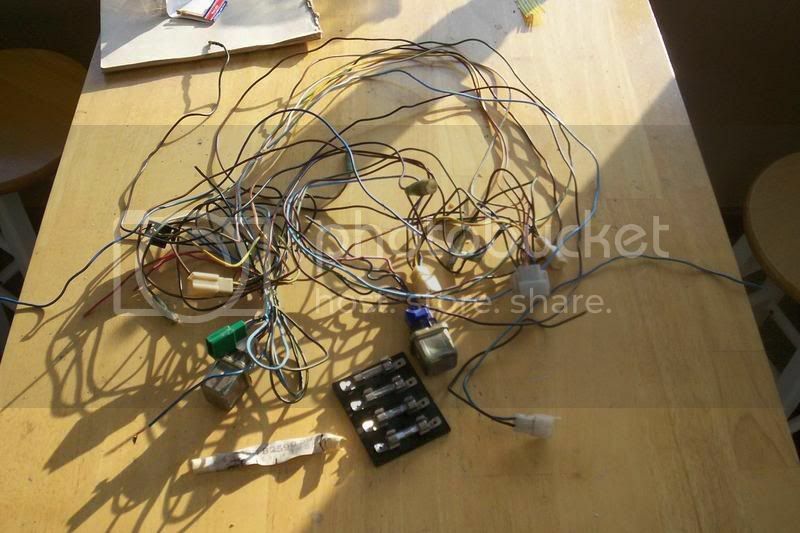 Let's make this the official wiring diagram thread... Please add them as you find them.. If you have a specific electrical or wiring question about your bike, please start your own thread. Thanks. Here are some wiring diagrams I found on the net. Some of the file names give a clue as to what year or model they are for. Tip: To see some of these at full size, you may have to click on them once or twice after they load depending on the internet browser you are using and your monitor resolution. Credit to www.xs400.net for the colored one. yep, i see one of mine on there!! Which one do we owe you a beer for? I told you I stole them! Which one do we owe you a beer for? Hey guys . . . I bought a set of very simplified wiring diagrams from a guy on eBay (Sinister Cycles) for $5.99. Very detailed but very simple to follow! Looks like they would be pretty useful for a chop/bobber build. I haven't gotten a chance to use them yet, but when I do, I'll post the results. I was actually just about to post them on here, but saw that he does have them copyrighted as intellectual property and I don't want to step on anyone's toes. Anyways, here's a link to where I got them . . . looks like he constantly has them available on eBay. Just thought it might be worth a shot for such a do-able price. And NO . . . I am not "Sinister Cycles" or affiliated with him/them in any way!! Just wanted to pass on what I found. Here's a link to one of his eBay classified ads . . . . I'd be interested in seeing what they look like, but won't pay to see them. Making simplified wiring diagrams and selling them is an interesting concept to me. It's kind of like taking an elaborate chili recipe, and using it to create your own easy-to-make chili recipe to sell for a profit. You just use someone's complicated recipe, strip out all the unnecessary stuff, and call it your own. Then try to sell it. Then call it copyrighted. All someone would have to do is take your easy-to-make chili recipe and change one little thing about it and now they can call it their own and try to sell it too. I have a great easy-to-make chili recipe. I'll sell it to you for $5 and when you make it and all your friends love it and ask for the recipe, you'll have to tell them it's copyrighted and they each have to pay me $5 for it..
Kbarkilr, do any of these look similar to what you bought? I hear ya man . . . some of those are similar, but not as simple. The colored are stolen from www.xs400.net. Please take a link to us if use. But I think our german Models are lite different on the electrician circuit. This is exactly what i was looking for. thanks guys. should hopefully be able to cut out a ton of crappy wiring. whoever owned my bike before me really screwed it up, time to simplify. hi could the bottom left diagram at the start of this page (xs400) be altered to suit a xs250 4g5 as i dont have pick ups or a ignitor unit. Can anyone tell me which of the many wiring diagrams on this tread pertain to this model? So far no luck in matching things up. Thanks for a quick reply! I found this in the tech section for the 1982 Seca 400. Thank you all very much. I'll be doing some forensic wiring this weekend. 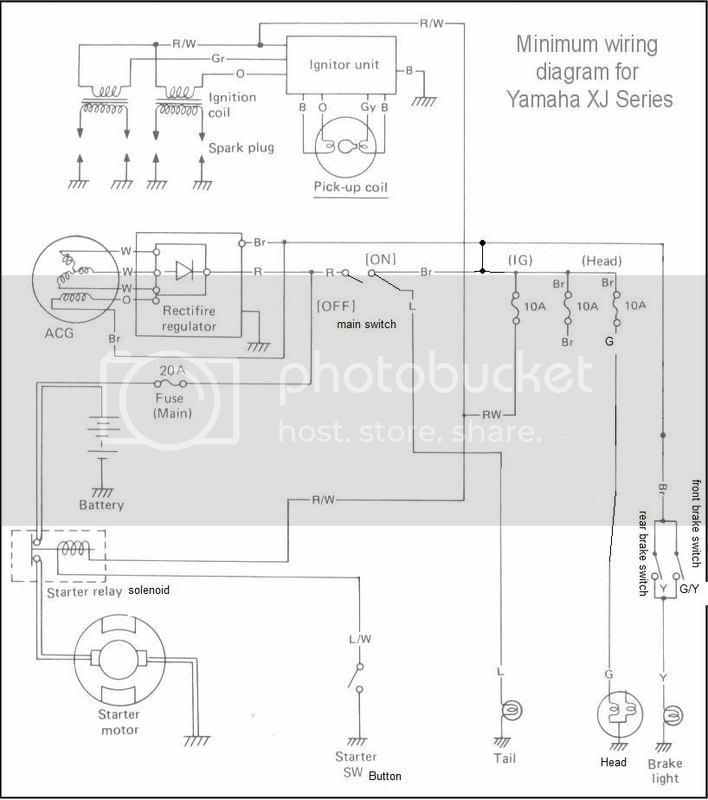 I also got a printout of the "secret Yamaha wiring files" from my local dealer - they don't look anything like what I see on the bike. Will keep you posted.